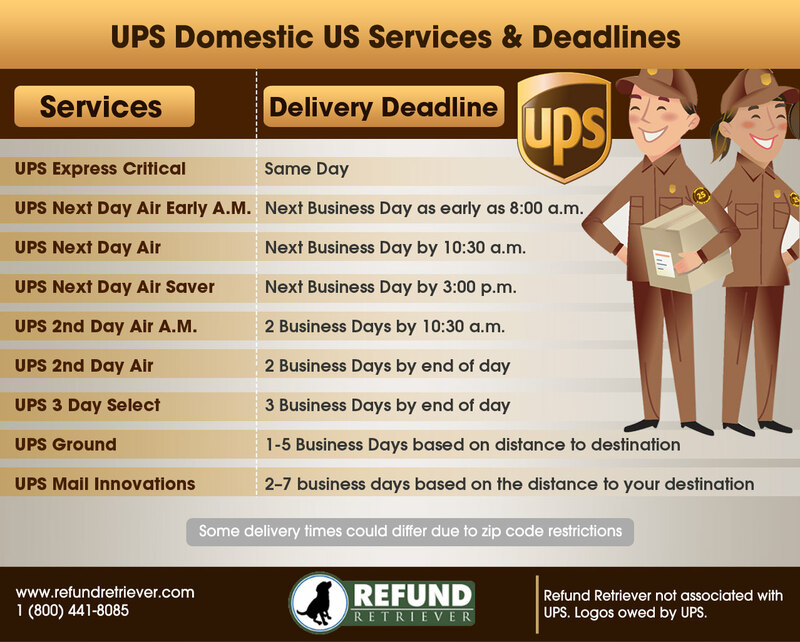 Did you know that if any FedEx or UPS package you send arrives late it should be free? Signing up takes less than 5 minutes. 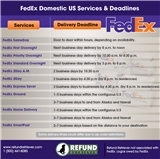 provide access to FedEx and /or UPS online billing. No monthly, setup or cancellation fees. Only charge is percentage of savings. 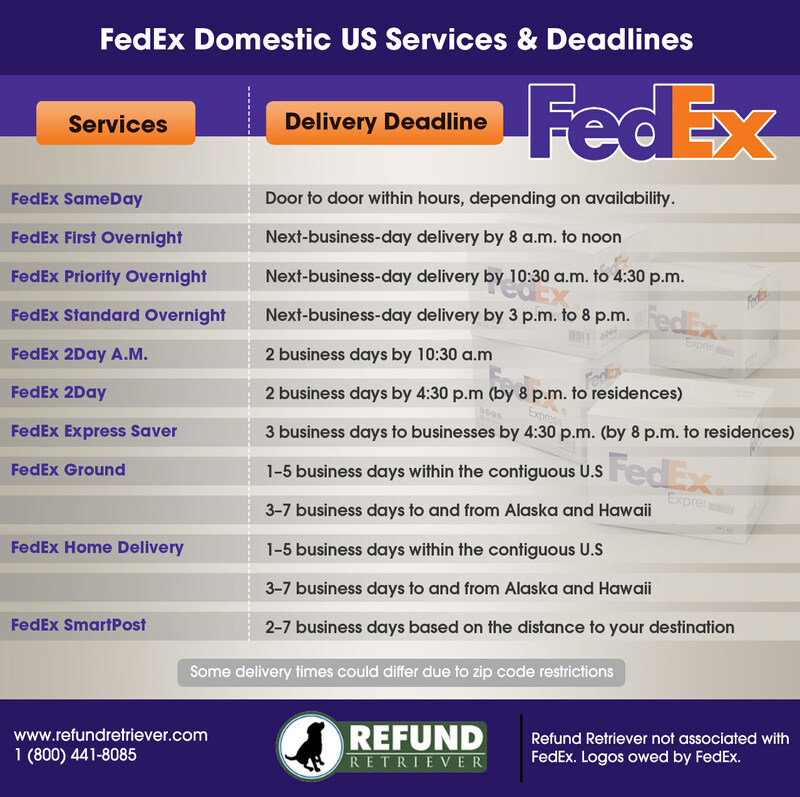 Refund Retriever monitors each FedEx and UPS package. You do nothing else, no changes to your operations. 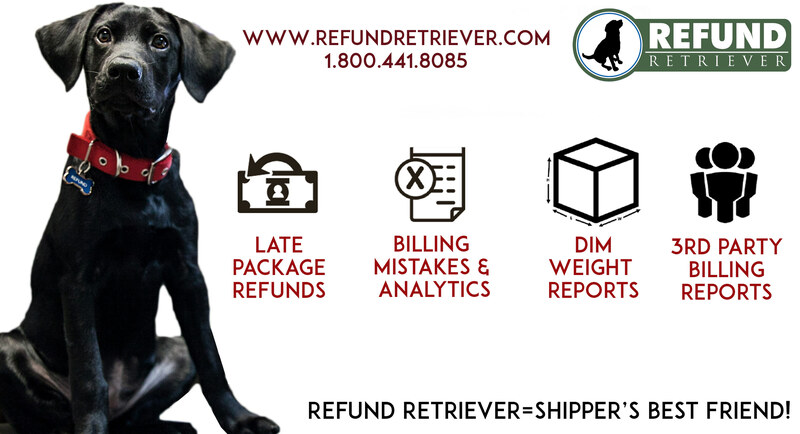 Refund Retriever works silently in the background auditing your shipping invoices to "sniff out" service failures such as late delivers (GSR), billing errors and much more! 24/7 access to your own personalized user interface. We provide detailed reports covering all aspects of your shipping activity, discount rates and provide you with intelligence to make smarter decisions about your shipping. THE BEST PART ...The FedEx and UPS refunds are credited directly to you carrier account. Our fee is small percentage of the savings. No refund credits, there is no fee!! Is there any contract or long term obligation? Will this upset the FedEx or UPS? No, the agreement made to you by FedEx and UPS includes this on-time delivery guarantee in the service agreement. When not met, they promise to refund your shipping costs. This is part of their commitment to you for using their services. The carriers will never know Refund Retriever is monitoring your packages. They would rather keep 100% of your money, but they will honor the guarantee. How is Refund Retriever different? We manually call in FedEx ground disputes. FedEx automated disputes within online billing do not give valid accepted and denied disputes, we have noticed that we get a much higher refund rate with customer service calls. 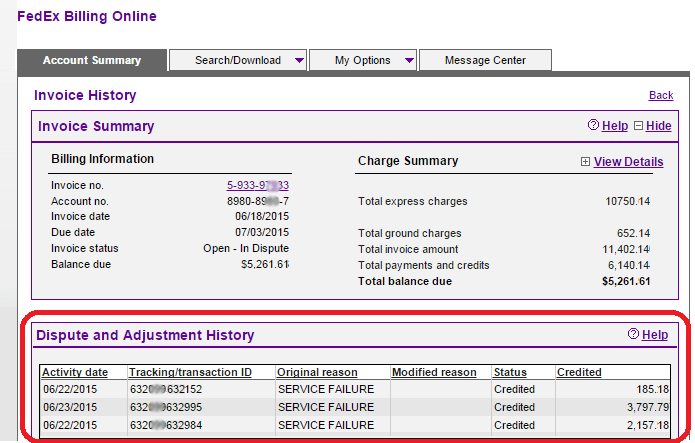 If your FedEx account is setup on automatic credit card draft, we can get refunds. Credit card accounts do not stop Refund Retriever. overcharged packages, and many more. Do I send weekly invoices to RR? No, all you need to do is provide access to your FedEx and/or UPS online billing. We download your invoices each week, process and dispute without any involvement on your end. We make the process entirely hands off on your end! When and where do I get the refund credits? FedEx: If you've already paid for the shipment that was credited, FedEx will either send you a check for the refund amount or, if you paid by credit card, issue a credit back to that card. If you haven't paid for the shipment yet, please under-pay the invoice by the amount of the refund. 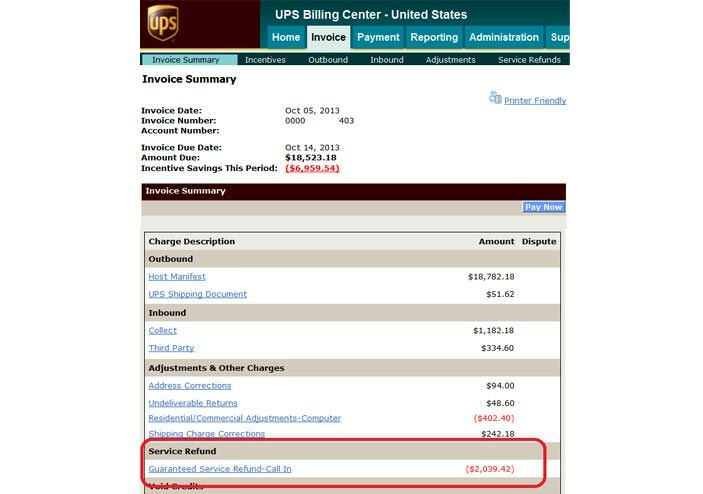 UPS: UPS issues a credit to your next invoice. Refund Retriever was established in 2006 in Houston, TX. Brian Gibbs was a member of AMPC (now AMBC) when he started his first company and saw the need for a different type of parcel auditing company. Refund Retriever is a technology company that specializes in auditing FedEx and UPS packages, that is our core competency. We are members of the Better Business Bureau and were awarded the 18th spot on Texas A&M University's Fastest Growing Companies in 2016 (Aggie 100). Yes, we do have a dog named Refund. What if my customer wants a refund? Before you issue a refund to your customer, call FedEx or UPS to make sure the package is eligible for a refund. If the delay was no fault of the carrier, they will not issue a refund and you will have to make a decision as to refunding your customer. If the carrier issues a refund, our system will see the refund on file and will not charge you. No need to call us, our software is designed to look for credits we did not inititate. If we found the late delivery already and initiated a refund, give us a call or email (brian@refundretriever.com) with the tracking number and we will remove it from the invoice. No need to send us proof of a customer refund. How do you pay Refund Retriever? We invoice customers on a monthly basis, and many of our customers prefer to have a credit card on file for auto payment, which is charged at the end of the month. Some customers prefer to send their payments by US mail. We also accept PayPal. Recently switched from another refund company to Refund Retriever. The online interface is great, and let's me know exactly what is happening with my shipments, and what is eligible for refunds. They handle all the work, and I make extra money. It's a win-win situation. Can't say enough great things about Brian and Elahe and Refund Retriever. If you ship UPS/FedEx/DHL, their service is a MUST HAVE! 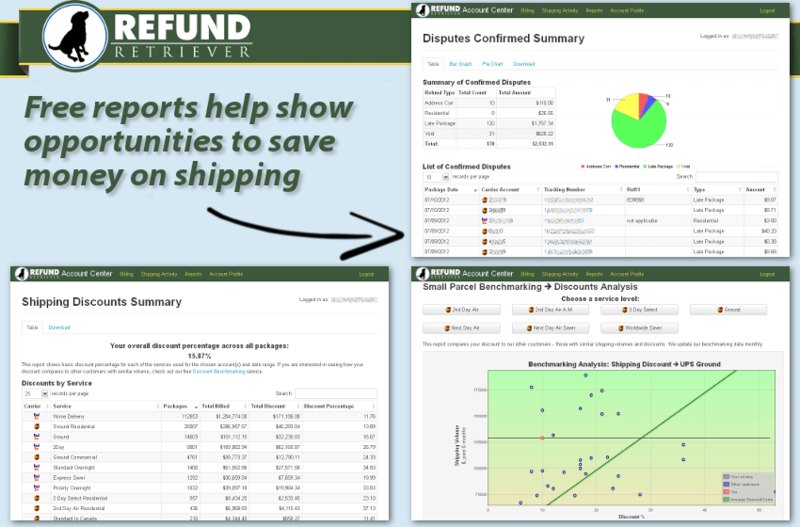 We have been using Refund Retriever since we started at the end of 2006. I would highly recommend them to anyone that isn't using a service like they provide, which is one like no other! We have never had a problem or issue of any kind in all the years they have been taking care of us. To be honest I have really looked at what they provide and asked myself if we could do what they do in house and for us, the answer is NO! They are on top of every shipment and believe me I double check my bills! Payment is easy, the bills are easy to read and all the information is there. There is no question that they are a HUGE benefit to our company and hope to keep doing business with them for years to come! I am new to the industry and wasn't aware services like this existed until I found Refund Retriever. We were skeptical at first, but almost immediately after signing up with them, we noticed credits on our UPS and FedEx invoices. At first we didn't know what they were until we discovered it was from the Refund Retriever program. We were shocked. In this industry, every single penny of revenue is needed and appreciated. I would recommend them to anyone looking to improve their bottom line. Thanks Brian. I started using the Premium Supplier in the program and had nothing but road blocks and excuses and most significantly no refund money. I spoke with the head of Refund Retriever who quickly explained how they do business differently and efficiently. I gave them an opportunity and couldn't be more pleased. I highly recommend them as your refund audit partner. You won't be sorry with your decision to hire them.